For the one who captured your heart, return the favor with a gift that’s sure to touch theirs. 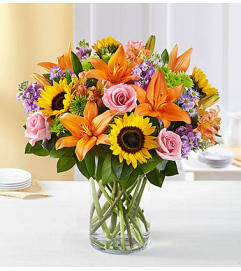 It starts with our truly original Mugable™ arrangement of gorgeous bright carnations, poms and more. Step it up with a foam heart pick, "I Love You" balloon and sweet candy for your sweetheart. Make a lasting impression by adding a cuddly plush bear. 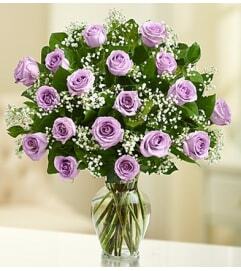 Vibrant, rounded bouquet of red carnations, lavender and green poms, purple statice and variegated pittosporum. 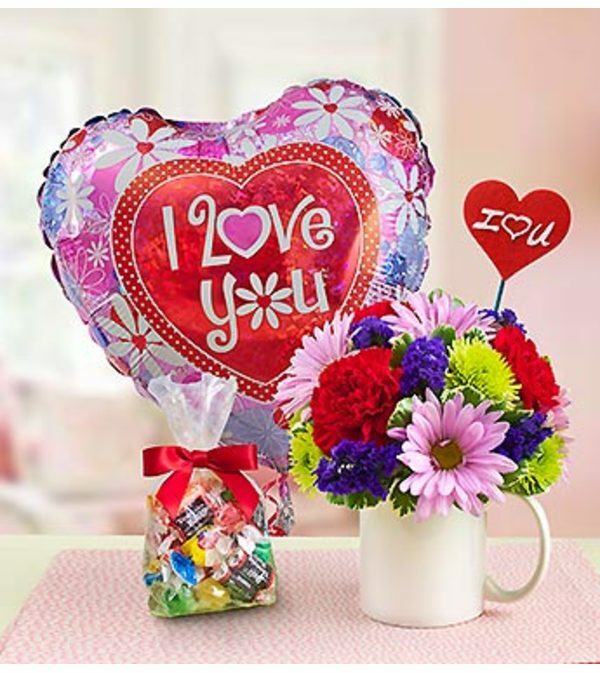 Comes with a mini "I (Heart) You" foam floral pick, a romantic Mylar balloon, and a 4 oz bag of assorted candy plus a 10"L plush brown bear; plush is safe for ages 3 and up.